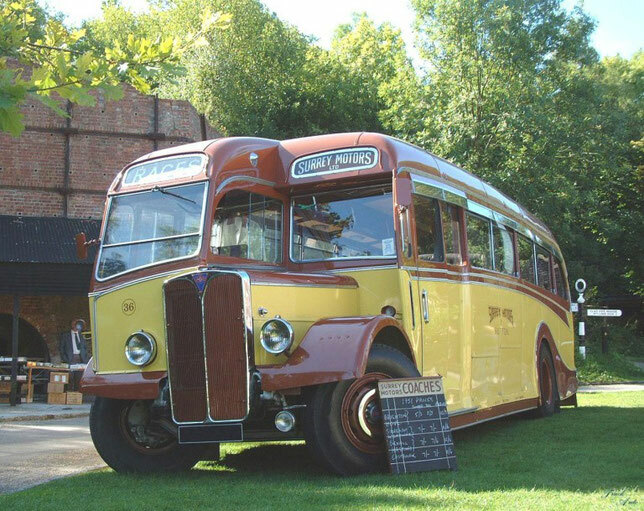 In the last century, the British automobile company AEC was very legendary, the technology that it was producing so far travels the country, and especially the legendary Routemaster buses, which the government can not get rid of, and when trying to remove buses from use, they are immediately sold out by collectors. The history of the appearance of automotive equipment of this legendary company, how to say, is a kind of exception to the rules. It all started in the early twentieth century, when cargo chassis were usually used to create buses around the world, but the first transport for the transport of AEC brand goods appeared in a completely different way. So far back in 1908, three London companies, more precisely motor transport enterprises operating motor buses, decided to unite in one company, which in turn was called the "London General Omnibus Company", abbreviated LGOC. This so-called coalition of enterprises became the owner of the largest part of London buses, in the year of its foundation it owned 885 out of 1,066 metropolitan public transport vehicles. Literally in the following year 1909, in the premises of one of the partners, the transport company Vanguard, in the town of Walthamstow, near London, the assembly of the first "X" buses with the units and units of the three English firms Daimler, Wolseley and Tilling-Stevens was arranged. Well, it's all a little prehistory, and the main existence of the AEC brand began after June 12, 1912, when LGOC became dependent on another company to operate the London subway. The new management decided to allocate bus production to an independent company, associated or affiliated to the main transport company. It was named Associated Equipment Company - AEC ("Associate company of rolling stock"). In the early years of its existence, the newly-minted company AEC was exclusively engaged in assembling buses. But the idea to use bus chassis for the construction of trucks was born only at the beginning of the First World War, but the first batch of three-ton army trucks AEC model "Y" was made only in 1916. The deteriorating overall economic situation in the country forced AEC to conclude a cooperation agreement with Daimler in 1926, creating the second associate company Associated Daimler Company with the less well-known English abbreviation ADC. With this brand for the next two years, in the flesh until 1928, trucks and buses were manufactured on the AEC chassis with Daimler engines. Companions disagreed about the new developments and two years later continued their independent existence. 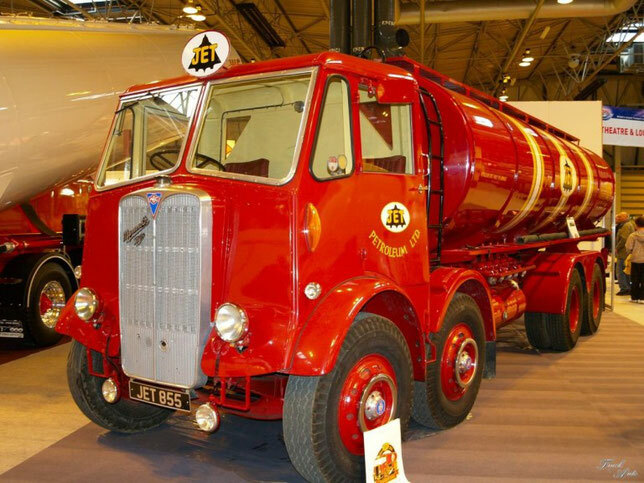 Since 1933 in Southall began mass production of a fairly wide range of trucks with the well-known red-blue emblem of AEC in the form of an inverted triangle. Simultaneously, serial production of "R" buses was launched, which received names for this letter and made red two-story buses, which became an integral part of London. With the addition in 1929 of the English branch of the American company FWD in the company AEC, the development of all-wheel drive chassis trucks. During the Second World War, the company supplied the British army with 0853 Matador diesel artillery tractors with a 4 × 4 wheel arrangement and three 6 × 6 three-ton gasoline Marshal gasoline trucks. In total until the end of the war by orders of the military department. UK company AEC manufactured ten and a half thousand trucks, more than six hundred armored vehicles, and also produced diesel engines for Valentine tanks and military equipment. After the Second World War, AEC strengthened its positions, continuing the acquisition of small firms, started back in 1937 with the company Hardi. In 1948, she bought the company Maudslay, which for several years unified its models. Then the company Crossley was absorbed, and in 1949 - Park Royal and Charles H. Roe, which manufactured bus bodies. At the same time, the official name of the company was changed to Associated Commercial Vehicles Ltd., abbreviated to ACV, but the well-known AEC trademark on cars survived. In 1961, the following, quite large, British firm Thornycroft was acquired, which produced a wide range of road and off-road vehicles. But already in August 1962, the merged firms were joined by the car concern Leyland Motors. And from that moment the era of independence came to an end, and the fast decline of AEC began. The cars of this firm, retaining their former sonorous names, gradually lost their external individuality and became similar to all other Leyland. The former AEC was fully integrated into the Leyland group, gaining the status of the Truck and Bus Division of British Leyland Vehicles. This meant that under the AEC brand only old chassis with Leyland engines were retained. And already in 1977 on most trucks brand AEC completely disappeared, and on produced buses it remained one and a half year. The last of the vehicles carrying this logo was the Leyland Marathon truck, it was produced in Southall until the plant was completely closed, which occurred in 1979.